When I was putting The Eternal Revolution book together, I googled the opening line I had at the time, “Christianity is a fight,” to see if that phrasing had been used before. Only one author stood out in the results: J.C. Ryle, Anglican Bishop of Liverpool, who lived at the end of the 19th century. I filed the link away, then knowing that I was not the first to use such phrasing. I did not want to read Ryle’s writings until I had finished my book, so that I would not be overly inspired by his particular style or structure. 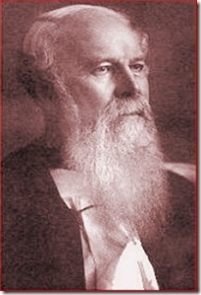 Having finished my book (just some formatting, cover design, and so forth as I write this) I took some time to revel in the homiletic stylings of the late J.C. Ryle. Considering we had the same inspiration to write a challenge to Christians to fight, separated by over 100 years, it was a pleasure to read and find a kinship in the Spirit. You can find the homily here. If you are looking for just the highlights from Ryle’s fighting words, here are a few select quotes from “The Fight” and other homilies. ” The first thing I have to say is this: True Christianity is a fight. It is such a blessed and encouraging thing to find such a kindred soul, separated even by time and space. Here’s hoping that you also find these quotes stirring the Spirit within you!